Gentle readers, friend of Damn Arbor and DDA Board Member, Jessica A. S. Letaw, asked me to share a cool event with you. 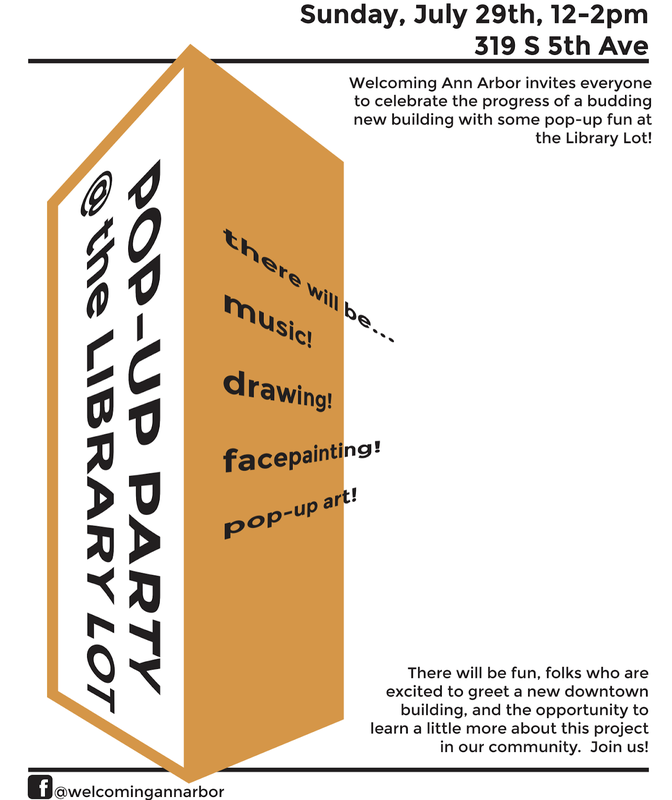 On Sunday from 12-2 there is going to be a Pop-up Party on the Library Lot. It's an opportunity for the public to learn more about the proposed project at the site. 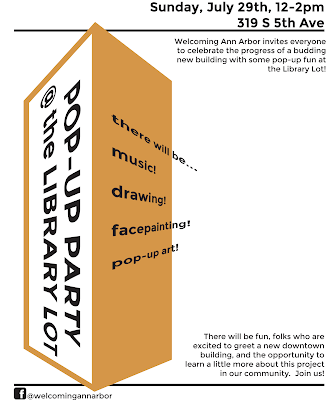 There will be kid-friendly activities, a pop-up art installation, and a full-scale mockup of the building's floor plan! So if you like playing with model buildings, or want to learn more about the Library Lot proposal, stop by.